Vernon Azevedo works as a remedial-measures program manager at Lexington-Fayette Urban County Government. Photo courtesy of the Azevedo family. In high school, many students can become overwhelmed with career options and second-guess their choices. Not Vernon Azevedo. In 1970, as a senior at Lafayette High School in Lexington, Ky., Vernon found answers to those big life questions in less than 10 minutes. During a meeting with his guidance counselor, Mrs. Markley, Vernon admitted that he hadn’t given much thought to what he wanted to study in college the following fall. Markley, who was charged with advising all 650 students in Vernon’s senior class, was short on time. But she noticed Vernon’s strong grades in math and suggested he major in engineering, handing him the University of Kentucky’s (Lexington) engineering catalog. Glancing through the pictures, the civil engineering section caught his eye. And just like that, the decision was made. Though his degree emphasized transportation, his interests shifted toward water and wastewater early in his career. 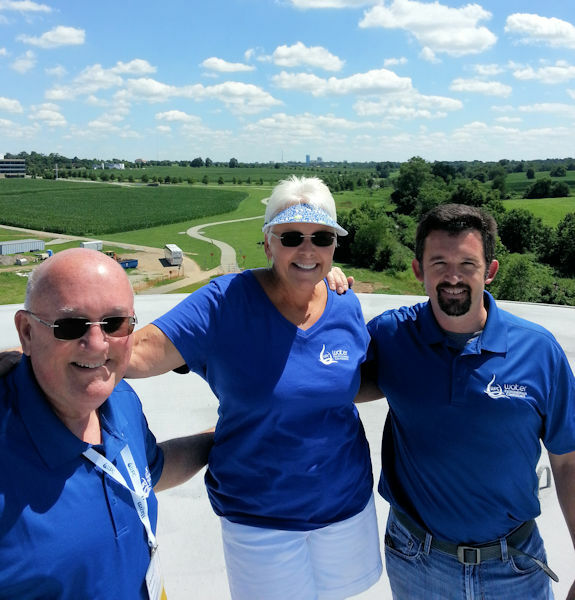 Within a few years, he was promoted to city engineer in Paris, Ky.
From left, Vernon and his wife, Beth, stand with their son Chase Azevedo on top of a Lexington-Fayette wet weather storage tank during the 2017 Kentucky-Tennessee Water Professionals Conference. The tank is one of ten designed and constructed under Vernon’s direction. Photo courtesy of the Azevedo family. Back at home, Vernon and his wife, Beth, were raising two sons, Mike and Chase. “Both claimed that they would never become engineers,” Vernon told Streamlines, Kentucky-Tennessee Water Environment Association’s (WEA) official publication, last year. After changing his major, Chase — like his father before him — received a civil engineering degree from the University of Kentucky. Upon his graduation in 2007, he joined a consulting engineering firm, where he gravitated toward water and wastewater projects. “It was somewhat natural,” Vernon says of his son’s interest in the field. “Pops has not tried to influence or push me in any particular direction in my career,” Chase told Streamlines. He credited his father with letting him find his own direction, while sharing his knowledge of design, construction, utility operations, and interpersonal skills. 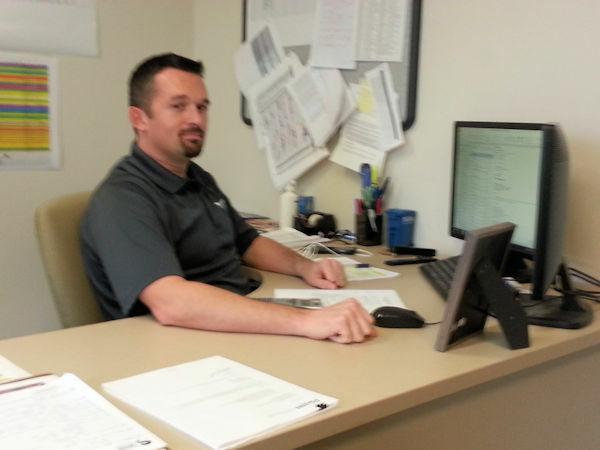 Chase works at the Lexington-Fayette Urban County Government as a municipal engineer. Photo courtesy of the Azevedo family. Chase currently works as a municipal engineer with the Lexington-Fayette Urban County Government. 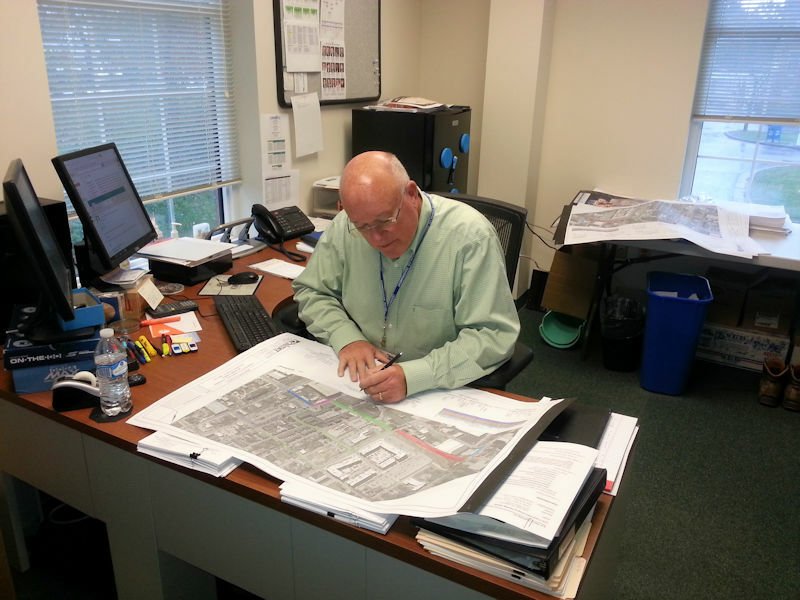 Vernon works there as well, serving as the remedial-measures program manager, addressing sanitary sewer overflows. Although family members are prohibited from working under the same management, Vernon and Chase are still able to eat lunch together most days, bouncing around ideas and enjoying each other’s company. Both Azevedos have strong ties to the Water Environment Federation (Alexandria, Va.) and the Kentucky-Tennessee WEA. Vernon has been a member for 31 years and in that time has never missed a local conference. Both father and son treasure the networking and educational opportunities as well as the friendships and relationships they’ve developed over the years. The family that works together also plays together. When the day’s work is done, the Azevedos and their wives enjoy ballroom and country dancing. My Water Legacy articles in WEF Highlights feature members who have passed down the tradition of actively participating in WEF and working in the water sector.